Gas Getting Into Oil - What Can Cause This To Happen ? Gas Getting Into Oil – What Can Cause This To Happen ? When you are changing the oil in your vehicle, one of the worst things to notice is the smell of gas getting into the oil pan. It means that gas is somehow making its way into your engine’s oil. However, it is normal for a small amount of gas getting into your oil during normal engine operation. Gas getting into oil becomes a cause for concern when the volume of gas exceeds 2.5 percent. 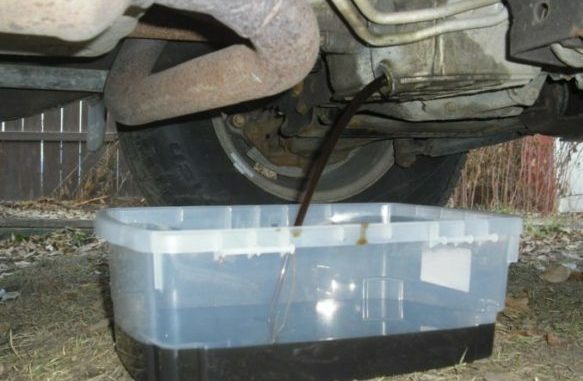 If a large amount of gasoline does get into the engine oil, change the oil immediately upon fixing the problem that has allowed this to happen. 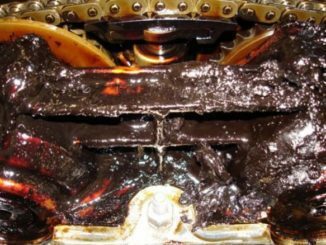 This results in a significant reduction in the oil’s viscosity, which affects engine lubrication and causes scoring of the cylinder walls along with bearing failure. If you start to smell a strong odor of gasoline while you are driving. You notice white clouds of smoke coming out of your tailpipe. Oil level might be really high-(Dipstick smells like gas). A badly adjusted carburetor can send too much gas into the carburetor, and the overflow will eventually wash down the cylinder walls and into your oil pan. 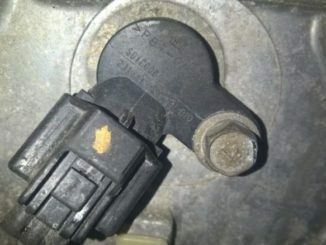 This also tends to foul the spark plugs. Thus, one way to check for this problem is to pull one of plugs and look for blackening on it. It could have a washed look as well. Cars that are more than ten years old usually have mechanical fuel pumps. If your vehicle’s engine is running with a stuttering or knocking sound, it is possible that one cylinder is not firing correctly, which leads to gas condensing in the faulty cylinder and draining into your oil pan. Accurately diagnosing this problem requires some specialised testing equipment and needs to be done by a trained mechanic. 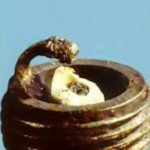 The gasket that sits between the engine block and cylinder head can “blow,” leading to coolant leaking into the oil or exhaust fumes being pushed into the coolant system. Driving with a blown head gasket can easily ruin the engine, leading to costly repairs. Your mechanic can run a compression test on your engine; if there is a leak in the head gasket, the compression will be lower than expected. Badly adjusted carburetor-(Gas could also leak into your intake manifold if there is a carburetor problem). The number one cause would most likely be leaking fuel injectors. This takes place when engine is off. Due to pressure on the fuel rail, fuel will push itself down into the cylinder of any leaky injector and gradually drip into the oil pan. But in this case, you will observe that the car would hard start and rough idle, especially when parked overnight, until the dumped fuel in the cylinder clears off. When a fuel injector is stuck open, the fuel will flood out. Gasoline will definitely get into the oil when this is the case. If the fuel pressure in your car is too high, that may cause gasoline to get into the engine oil. 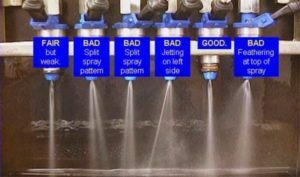 An inoperative injector system can also cause this problem, because if the engine is not firing appropriately, the gasoline will end up running down the walls of the cylinders. 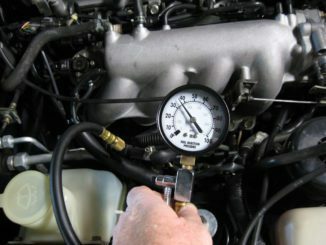 Fix any fuel related trouble codes and change your oil, Before starting your engine. Any time you realise that too much gas is getting into your engine oil, you should replace the piston rings and then replace the oil. See if this helps the problem, and if it does not, then investigate the many other possibilities as to why the fuel is leaking into the oil.